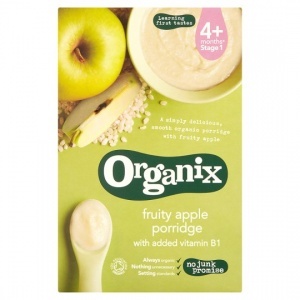 We have developed our organic baby porridge to be a smooth first step to solid food. It's light, fluffy and deliciously creamy when mixed with milk, and perfect for tiny tummies. With real apple, all the flavour just comes from the fruit with no added sugar, artificial flavours or sweeteners.